Rich, warm colours in a Deco dining room. Colourful, inviting room for family gatherings. Salon/Living Room interior design enhances the architecture of a 1850’s Italianate home. 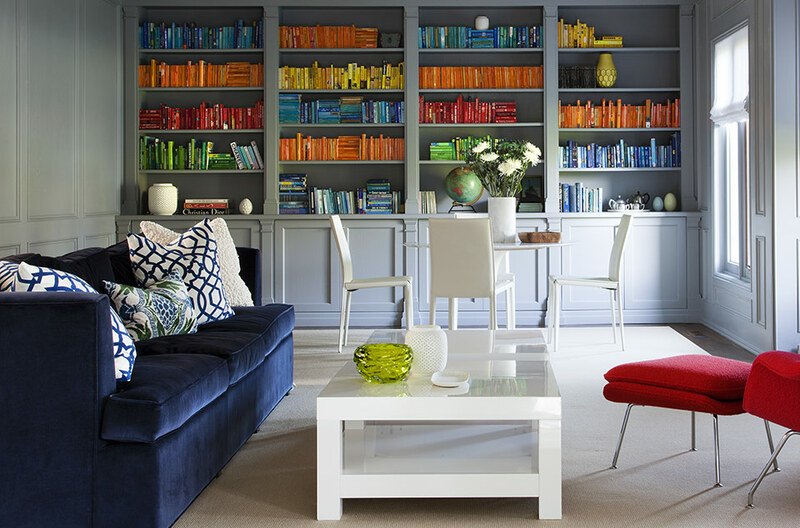 A colourful postwar home renovation. Principal Interior Designer Theresa Casey. A clean contemporary media room. Graphic fireplace in a Minimalist modern interior. A modern kitchen design references the architecture of its Tudor past. Theresa Casey and the team at Casey Design/Planning Group Inc. have the experience and creativity to design the home you’ve always wanted. Please explore our portfolio of small, medium and large projects to see how we can help you make your dreams a reality. VIDEO: Go behind the scenes with designer Theresa Casey to glimpse the design inspiration for "Warehouse Living", a truly timeless kitchen that blends vintage artifacts with a contemporary aesthetic. VIDEO: Interior Designer Theresa Casey transforms a young couple’s tired suburban home into a sophisticated character-filled space. Video: You could believe this garden is in Florence, not Toronto. Designer Theresa Casey conjures up a romantic European escape in her small, city backyard complete with gurgling stone fountain, bowers, and an artist studio in a converted garage that serves as a creative escape.